One treatment, which has no side effects and boosts your metabolism greatly, is the water therapy treatment of drinking water in an empty stomach in the morning when you wake up. About four glasses of water (one litre) on an average daily would be great. This therapy is very beneficial to the body and mind. Here are 2 amazing benefits of drinking water first thing in the morning. The recommended six to eight hours of sleep is a long period to go without any water consumption. Drinking two or three glasses of water right when you wake up, however, is a good way to quickly rehydrate your body. In addition to rehydrating your body, drinking water first thing in the morning also helps you with moving the lower bowels for regularity in the mornings. Drinking Water First Thing In The Morning Helps Fuel Your Brain. Because of the percentage of water (70%) that our brain is made up of, it is important to always stay hydrated. Which is crucial in maintaining optimal brain function. When you are not properly hydrated, your brain operates on less fuel and even experience fatigue. It can also further leads to major reductions in memory and brain performance. When you think of rehydrating your body after a long period of drought. Don’t just drink any water. 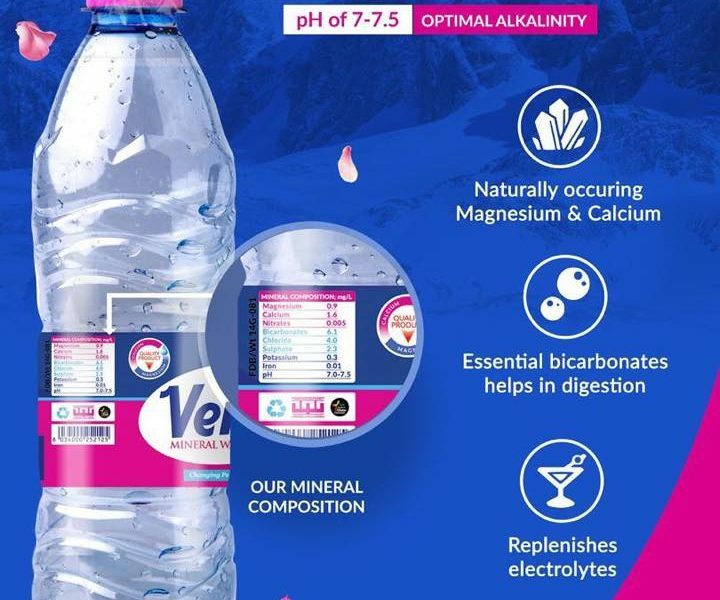 Drink Verna Mineral Water. The water you drink should do more than quenching your thirst. 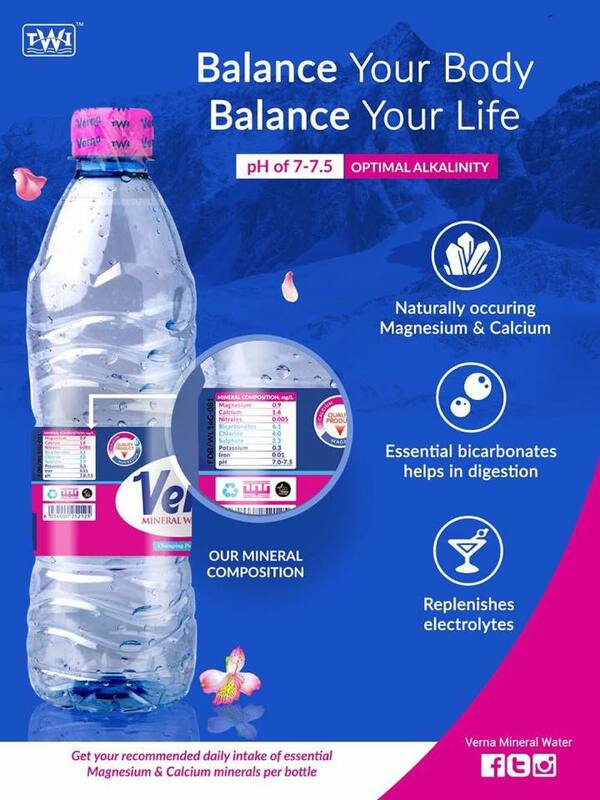 A bottle of Verna Mineral Water comes with your daily recommended essential magnesium and calcium minerals. For your recommended four glasses or average one litre of water a day, your best choose is Verna Mineral Water. Especially early in the morning and during the day.